This recipe is very easy to prepare and make, and only takes a few minutes to blend – what’s not to love? Start out by (not pictured) freezing fresh mango flesh in ziplock bags overnight. 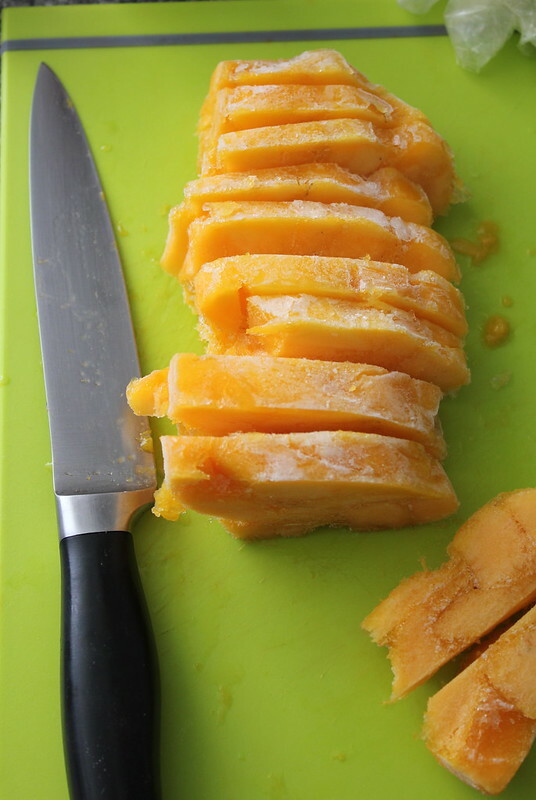 Remove mango flesh from ziplock bag and slice into chunks. 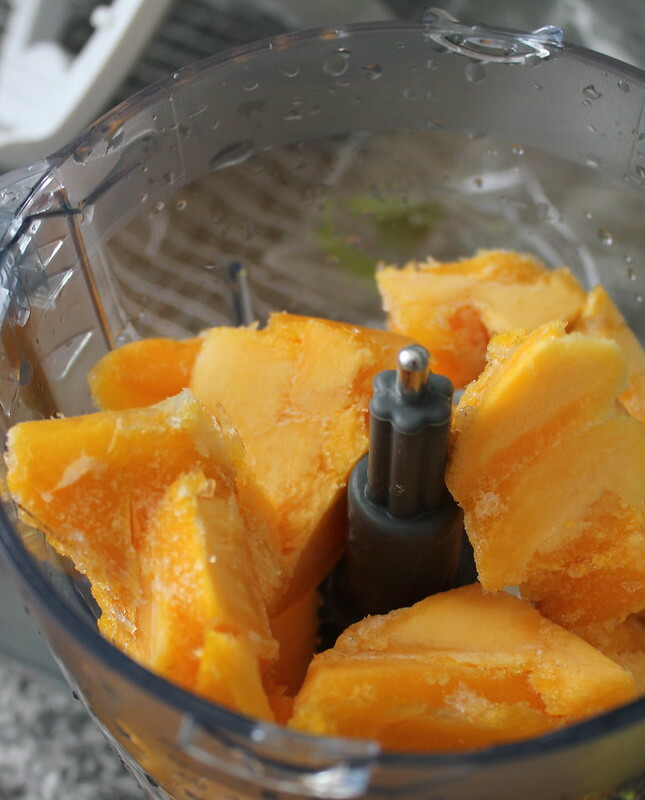 Place mango in food processor. Optional: Add sweetener if desired (brown sugar pictured) and/or a splash of vanilla essence. Blend. (Pictured without sugar). 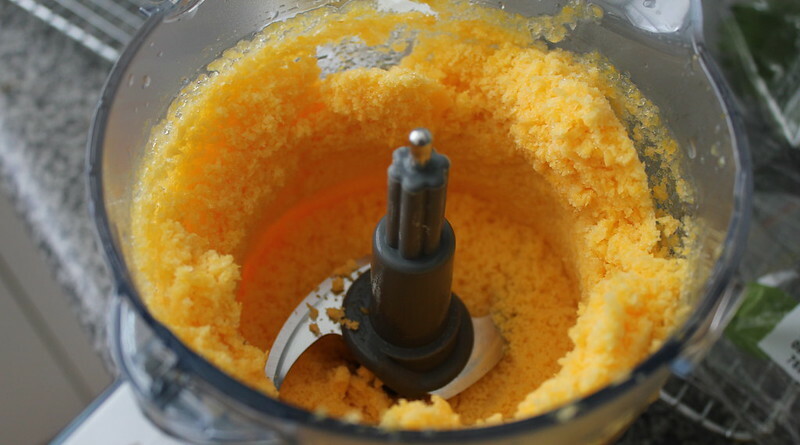 Mangoes become crumbled and require some liquid to help it become creamy and smooth. Add milk of choice and blend again – it should become nice and creamy! You can also freeze any leftovers in a plastic container for later. This shot reminds me of pumpkin puree hehe. Time to prepare: Mangoes need to be frozen overnight but actual blending takes less than a few minutes! * You can omit if your mangoes are very sweet. These particular mangoes I bought were very cheap and not terribly sweet – clearly they had been forced to ripen early in order to meet demand and unfortunately did not have the best flavour. However, in my experience, proper ripe mangoes are usually more than sweet enough without the sugar added. See for yourself – you can always add extra sugar after tasting if you like (I made two batches, one with and without sugar). 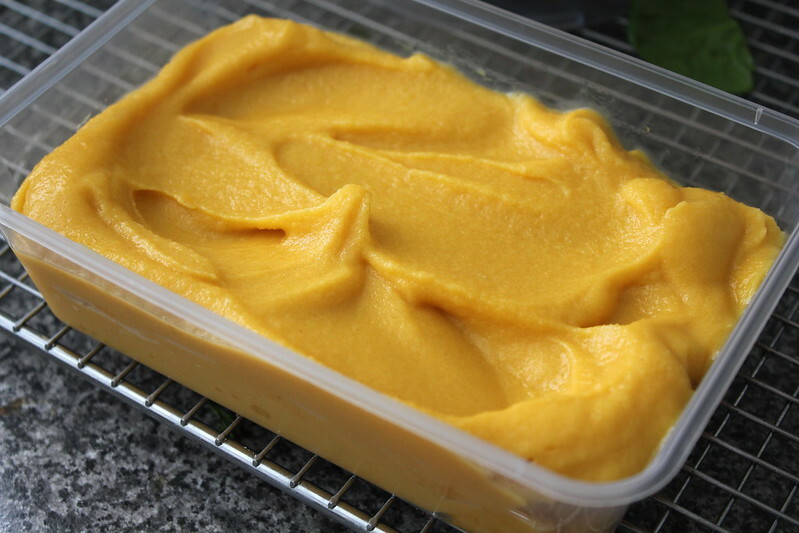 Note: This recipe requires a little preparation overnight – to freeze the mangoes. Slice cheeks of mangoes (I used about 3 medium sized ones) and scoop out the flesh. Freeze in a ziplock bag overnight. 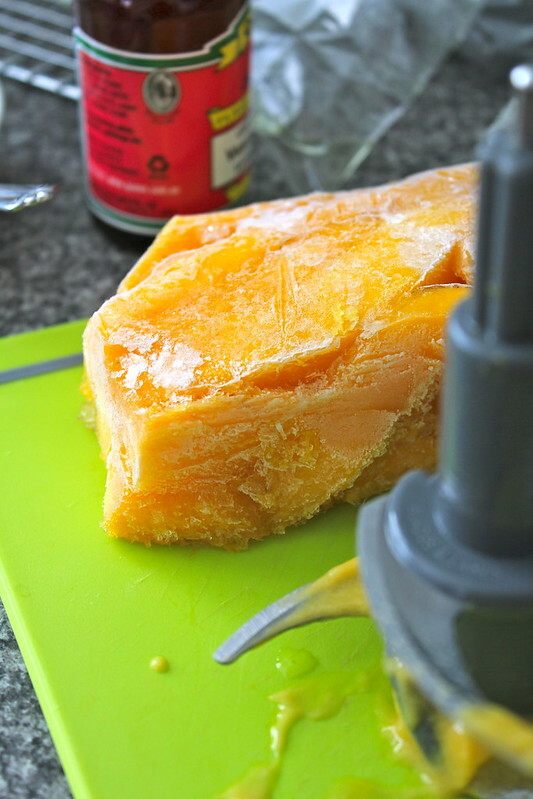 Remove frozen mangoes from ziplock bag and chop roughly to make it a bit easier for the food processor to blend. 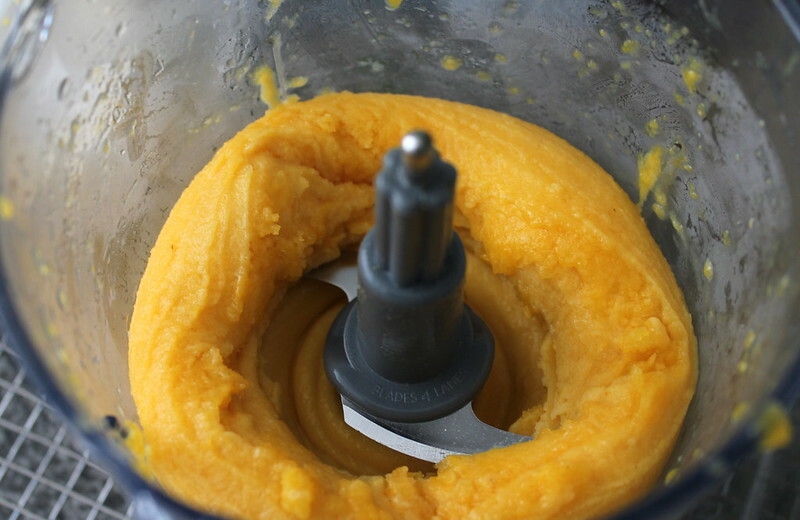 Place mango chunks and vanilla essence (if using) into food processor bowl and blend for about 1 minute or until it is completely broken up into tiny pieces. Add milk tablespoon by tablespoon or until you get the creamy consistency you like. Taste. If it’s sweet enough, serve – but if not, add sugar spoonful by spoonful, blending after each addition and taste each time to get the right sweetness for you. 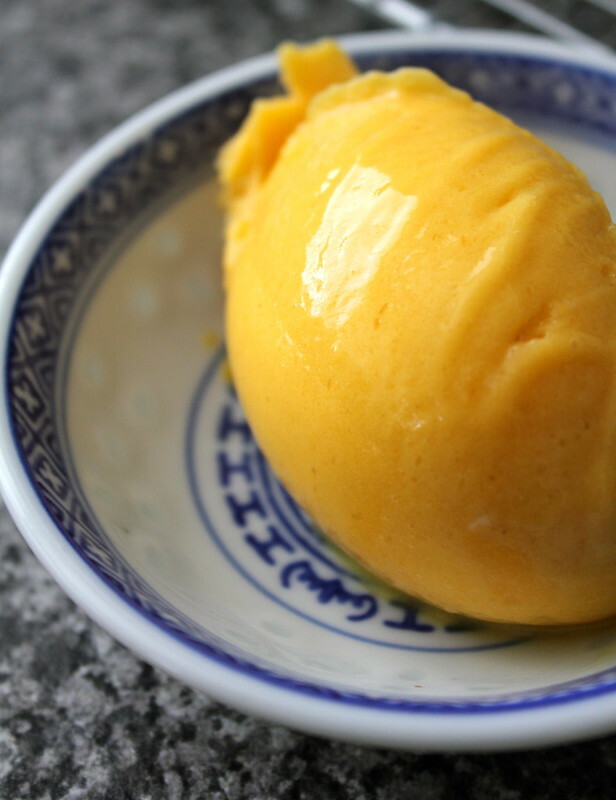 Scoop mango gelato out of processor bowl using an ice-cream scoop into bowls and serve! I’d like to try topping this with some freshly whipped cream (or coconut cream) and chopped macadamia nuts for that true mango cream Weiss bar feel. Mmm. Weiss bars. But honestly its pretty good by itself – even my vegan Mum enjoyed it! Any leftovers can be poured into a plastic container and stored in the freezer. It will harden, but a few 10 sec zaps in the microwave should be enough to make it scoopable. Feel free to play around with the measurements in this recipe. 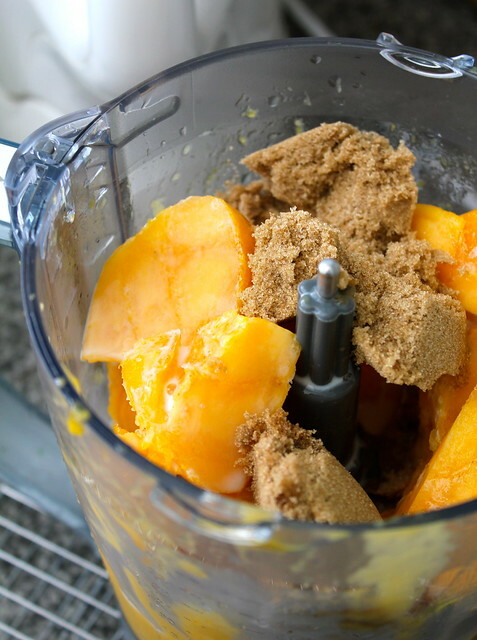 You can add more / less mango and just add the milk / sweetener afterwards so you can get a good consistency / sweetness. Hope you enjoy this super simple summery recipe ! REALLY?! IS THAT IT?! Oh I am so doing this sometime this week! That’s incredible that it’s so easy.. I’m still in shock! Wow what a great recipe Christine! Love this one for summer, my daughter is mango crazy. I love my food processor too, so handy. Which food processor did you buy? I’ve been toying with the idea of buying one since watching Jamie’s 15 Minute Meals (he uses it for EVERYTHING, and it makes it look SO easy), but I’m on a budget and can’t really spend more than $200. The good ones all seem to be at least $500+! Yay, thank you! I’ll give them a call this week. $215 for two machines sounds great! Mango season, yay! Great recipe & awesome top photo. Fresh and easy! I love the idea – definitely gonna try this one. Ooh, now I can make my own Weis bars! Oh my goodness this is so easy and so appropriate for summer! I think I’m going to have to try this out sometime 🙂 looks amazing and sounds delicious! That’s looks like a really simple and tasty recipe for my gelato maker which is still pristine in its box. Very worthwhile! I’m so addicted to mine now hehe. Love how it glistens! The texture looks beautiful. Unfortunately I still don’t have a food processor. Did someone say Weiss bars!?? Yum!, great recipe. Not everyone has an ice cream maker but still would like to make some sort of icy treat at home. This is a fantastic recipe, simple and easy. Its wonderfully creamy 😀 I have some mango in the freezer thats reaching the end. Must freeze it and give this a go. Thanks for sharing this recipe. I had no idea you could make it in the food processor. I was thinking of getting an ice cream maker. Going to experimenting with this really soon. That’s one of the simplest gelato recipes I’ve come across! Cant wait to try it this summer! Hi Christine, I adore mangoes – having grown up in North Queensland, they’re my favourite fruit! What a terrific, simple recipe. I do the same thing only I add vanilla yoghurt as a sweetner and liquid. It’s SO good! I am going to get a box of mangoes and it is all thanks to you! Wow, now that looks delish! Mango is definitely my favourite Summer fruit! I can’t wait to give this a go as I also have a crush on my processor too! 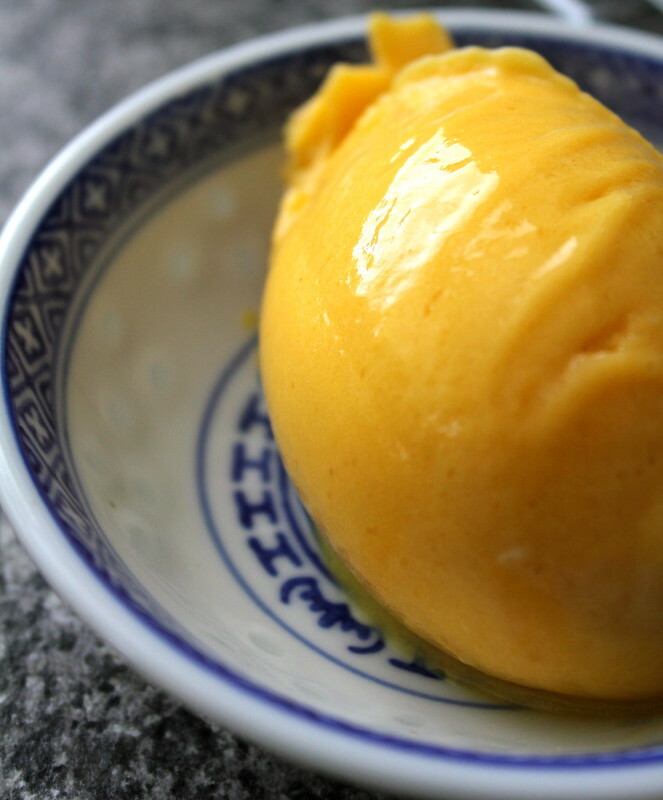 Hey I had a craving for mango sorbet on the weekend and made some too, then Mike said you also made some. It MUST be mango season, yummo. I’ll have to try your recipe some time. Glad you liked it, thanks Julie! How great is this recipe! It couldn’t be easier. Hi, Christine! This recipe is also great with Greek plain yogurt instead of milk.